From Professional and Amateur riders to a wide variety of charitable causes, MotoSport supports the rider! On the track or on the street, the guys that ride are right there with you! Crossland Motorsports is pleased to announce a continued title sponsorship with Motosport.com for the 2015 racing season. Additionally, GPI is on-board as co-title sponsor and American Honda provides factory support. The official name for the team will be Motosport.com/GPI/Honda racing. 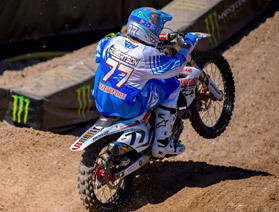 Riding in the 450 class on a Honda CRF450 will be Fast Freddy Noren, the 2010 Swedish National Champion who rode for the Factory Honda Outdoors team with Trey Canard in 2014. 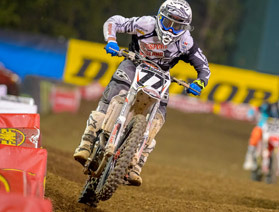 Tommy Hahn grabs the throttle in the 250 class on a Honda CRF250 for Outdoors and will compete in the Western Region for Supercross. 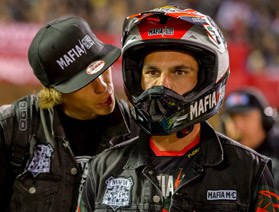 Guy Cooper, a past AMA National Champion takes the reigns as Team Manager. 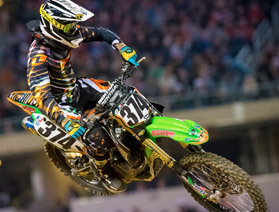 Nick Wey will be returning to Supercross for the 2014 season fully recovered from past injuries and hungry to regain his top ten presence. 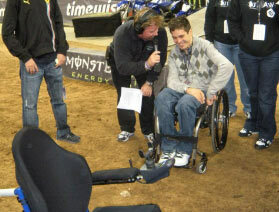 Now considered one of the veterans of Supercross, Nick is doing everything on his own just short of driving the team rig. 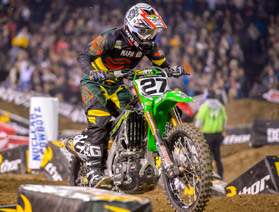 We have been supporting the #27 bike for years now and are looking forward to seeing the Mafia Moto Crew MotoSport Kawasaki battling in the mains all season long! 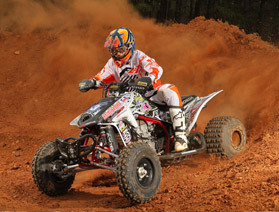 One of the most dominant forces in the GNCC XC2 Pro Lites class, Kailub Russell took home both the 2009 and 2010 GNCC XC2 championships. After a hard fought 2013 season, the ever impressive Kailub Russell brought home the Championship just ahead of KTM teammate Charlie Mullins in the XC1 Pro Class. 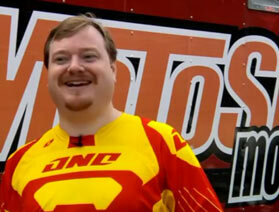 Check out Kailub's progress throughout the 2013 season in our 16 episode Driven To Win series. The Pacific Racing Organization was established in 1998, formed by motorcycle racers with the vision of offering higher quality, fun, safe and competitive racing events for amateur motocross riders. P.R.O. 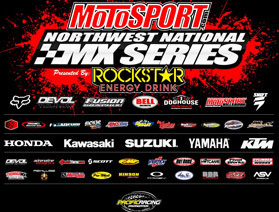 has taken motocross event promotions to new heights, giving the riders and the sport better events in the Northwest. 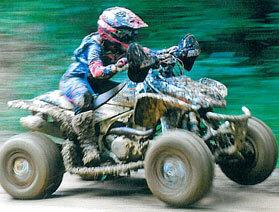 The Pacific Racing Organization promotes and facilitates closed course off-road motorcycle events throughout the Northwest at various venues. 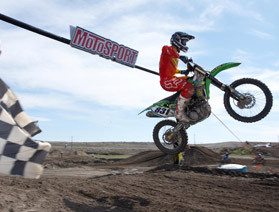 MotoSport.com stands as a long-term supporter of ATV racing, has been behind many impressive and hard working riders over the years, and is always on the lookout for good opportunities to continue this effort. 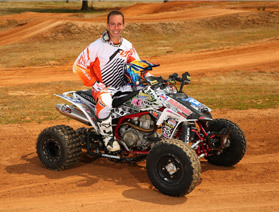 John Natalie, Jr. is an ATV racer who has been involved in the sport for over 20 years, has participated in and won countless races, and has several Championships to his name. 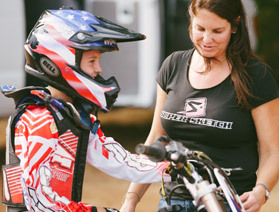 Team MotoSport.com/Motoworks/DWT will field Natalie, who will pilot the Honda TRX450R, in all ten rounds of the series, which will encompass events in the Eastern and Mid-Western U.S, starting at Aonia Pass MX Park in Washington, Georgia, on March 23rd. Throughout the season, the team may choose to add racers who are currently under the tutelage of Natalie at select events, dependent on conditions. However, the star of this show is Natalie, and our team will work as hard as necessary to keep him at the front all year long, keeping the one and only goal of the team in mind - the 2013 Championship. 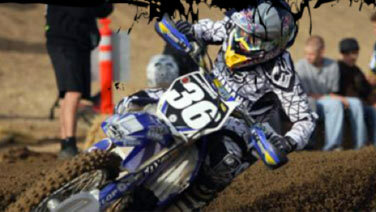 Cody is currently racing the 2013 AMA Supercross Series for Yankton Motorsports in the 450sx class. 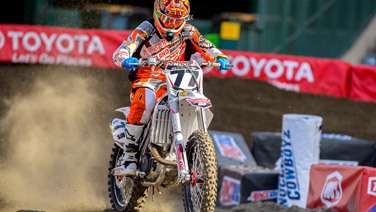 He has raced for years professionally, successfully qualifying for 250sx main events and many podium finishes in AMA Arenacross series. 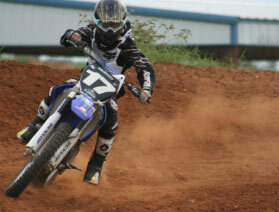 With Cody's strong amateur background as a Loretta Lynn's Champion, he brings tons of talent to the races each weekend. 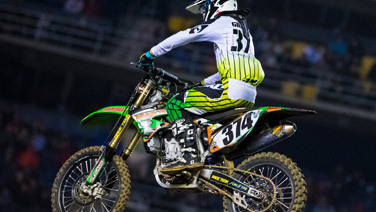 MotoSport is happy to support Cody as he fights his way to the Main Events this Supercross season. 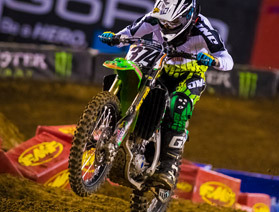 Check out the Expert's Corner for more articles about Cody Gilmore! Eugene, Oregon native Max Miller is one of the most dominate, amateur riders to throw a youth sized boot over a dirt bike in recent years. 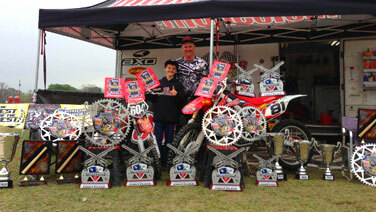 After a very impressive 2013 season with the addition of 85cc dirt bikes, Max's speed (and style) is only improving. Max and his family are traveling to many of the Amateur races around the country this year and we're proud to say we have the opportunity to support them. If you see Max at the track, make sure to say hi...that is, if you can catch him! 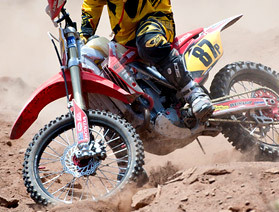 The MotoSport.com WEBE Racing Hare Scramble Series is the premier Off Road Racing series for the Southwestern United States. With features like live scoring and Contingencies from manufacturers as well as some first class locations, WEBE is an ideal series for both professionals and amateurs alike. Starting in New Mexico and reaching out to parts of Utah and Colorado during their 8 round series, WEBE offers a huge variety in terrain and racing conditions. Round One kicked off April 6th 2013 and will continue through to the end of September on the 29th. 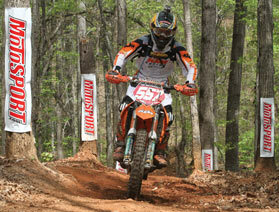 Check out the MotoSport GoPro of Round One with Off Road pro Cody Schafer here! 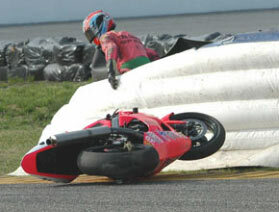 The Roadracing World Action Funds mission is simple - prevent race track injuries. To accomplish this mission the organization promotes motorcycle racing safety and education. The Roadracing World Action Fund advocates and promotes the use of soft barriers to prevent racetrack injuries, and provides education on the value of adequate pre-race practice, rider training, and proper racetrack preparation. The Roadracing World Action Fund also addresses other health and safety education issues concerning motorcycle racing, such as tobacco advertising, the use of certified helmets and leathers, and setting rider safety as the top priority on race day. MotoSport fully supports the Roadracing World Action Fund, and will match customer donations (for which an option is provided at checkout) up to $20,000 per year for all of our charitable causes. 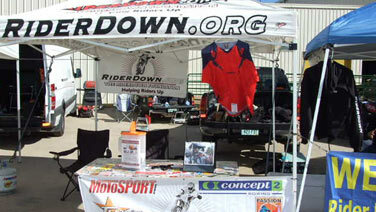 The RiderDown Foundation is a non-profit organization dedicated to helping responsible off-road motorcyclists and ATV racers who have been injured while riding. Proceeds are used to provide assistance to the riders and their families when faced with medical expenses and the many related issues resulting from a severe injury. RiderDown makes use of volunteers to provide aid through on-site care package delivery and by visiting injured riders to provide assistance. MotoSport fully supports the RiderDown Foundation, and will match customer donations (for which an option is provided at checkout) up to $20,000 per year for all of our charitable causes. 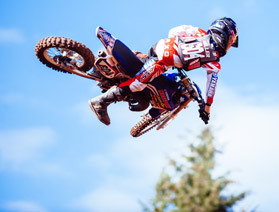 The Road 2 Recovery Foundation is a non-profit organization dedicated to helping AMA licensed professional motocross/supercross members with financial assistance if they sustain career-ending injuries as well as providing motivational, emotional, and spiritual support to these individuals and their families. The goal of Road 2 Recovery is to completely provide for a rider for the duration of their life if they are unable to ever generate revenue again. They can only strive towards this goal with the help of everyone in the motocross community who is passionate about this sport. 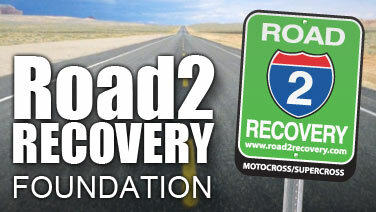 The Road 2 Recovery is here to make our sport a better safer place. MotoSport fully supports Road 2 Recovery in their mission, and will match customer donations (for which an option is provided at tine of checkout) up to $20,000 per year for all of our charitable causes. 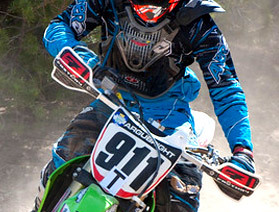 MotoSport.com is committed to providing support and sponsorship to amateur Motorcycle and ATV Racers from all ages and experience levels competing in sanctioned and non-sanctioned events. Sponsorship applications are accepted from November 1 through December 31 for the upcoming riding season. Our program is very successful, and accepts over 200 applicants a year. 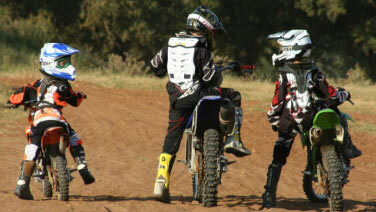 Sponsorship benefits include discounts on a range of products available at MotoSport.com. If you think you may be a good candidate for amateur rider support, submit an application for sponsorship here. The award-winning Fisher's ATV World series strives to entertain and inform on every aspect of the All Terrain Vehicles and Side X Sides. Covering work, play, recreation, travel, sport and much more, the main focus includes adventures and travel destinations combined with industry tips and trends with industry leaders plus "behind the scenes" factory tours. 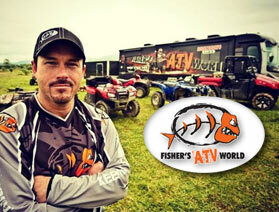 MotoSport is proud to support the high quality content produced by Brian Fisher and team on Fisher's ATV World.